World Wildlife Day was celebrated all over the world yesterday, even in Visakhapatnam. 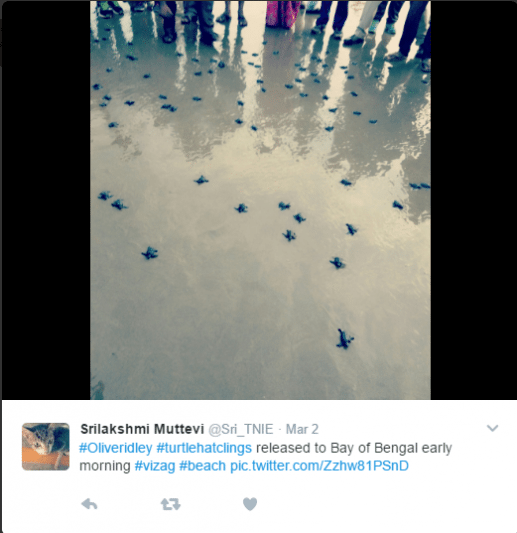 On the occasion, several people – including volunteers, animal lovers, forest officials, Indira Gandhi Zoological Park staff and authorities – gathered at RK Beach to release 100 Olive Ridley hatchlings. The hatchlings that take over 25 years to reach adulthood unfortunately have a low survival rate. The eggs laid by adult Olive Ridleys by the beach are shifted to the hatchery along the coast and released after they hatch in 45 days. Collector Pravin Kumar told the Indian Express that till now 554 hatchlings have been released into the sea from different places across the coast collectively. The forest officials collected 47,000 eggs from 447 nests and the rest of the hatchlings will be release into the sea in a duration of 100 days. 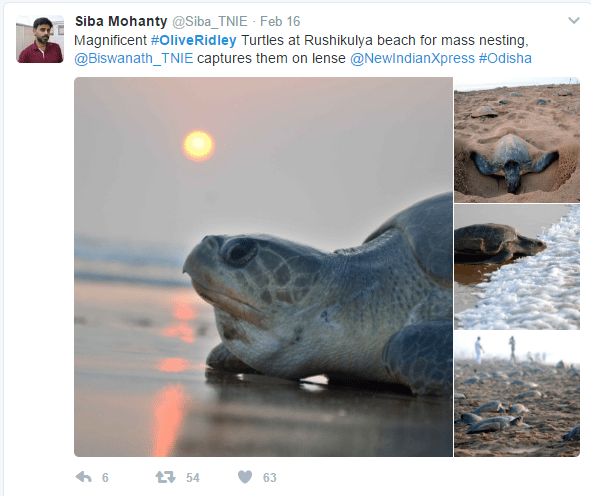 Seven species of Olive Ridleys lay eggs on the coast every year and the Collector has asked the fishermen to be aware of the species, lest they be trapped in fishing nets. VSPCA posted on its social media 8 days ago – IT is Bumper nesting this year so far! Record nestings are happening at Visakha Urban beach this season. Despite all the hurdles the wave of nestings across the beach dots with sea turtles. So far, more than 300 nestings and more than 30,000 eggs collected. Our objective with AP Forest Department and NTPC to increase the number of hatcheries to 5 over 60 kms and to help collect 100,000 eggs, protect and leave the babies with good hatching success rate. We have another 2 months to go for good nestings and we may achieve our ambitious aim. As we wrote above, the number has even crossed the one they’re written. The World Widlife Day was also Indira Gandhi Zoological Park with the theme of ‘Listen to the Young Voices’, just like it is worldwide. The zoo and the Forest Department jointly organised a Turtle Walk from the RK Beach turtle hatchery to VUDA Park. The students and scholars of the Department of Environmental Sciences at Andhra University celebrated the day by organising a photo exhibition highlighting biodiversity and wildlife. 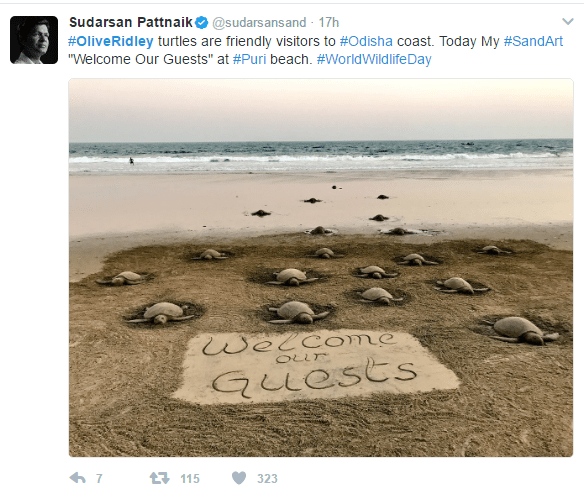 Several people attending the release of hatchlings both here and in Odisha, celebrating World Wildlife Day, have posted beautiful pictures onto their social media.